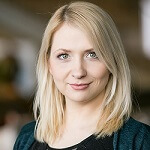 Even though Quickspin is barely 6 years old, this fledgling company has grown in leaps and bounds and today it has more than 60 employees and has found a lot of success developing slots for, amongst others, Playtech. It has been a great year for the company after the releases of Wins of Fortune, Sakura Fortune, Leprechaun Hills, Hot Sync and Phoenix Sun along with a re-release of Goldilocks and the Wild Bears with some revamped elements. This month the developer releases Fairy Gate, a deceptively simple looking slot game featuring 4 fairies and a handful of playing card symbols as the reel icons. The action takes place in a neat 3 row by 5 reel box on the left of the screen. Upon closer inspection though you may notice the two additional reels on the right hand side which feature an occasional set of invisible bubbles that contain stars. These bubbles are the main triggering elements for this slot’s bonus features giving the slot a unique feel, which is getting more and more rare in the industry. Even though Fairy Gate is not attempting to reinvent the wheel, there is just something about how these familiar elements come together in the game. It just works and if all goes well, this will turn into a very rewarding slot for fans and a cornerstone for the Quickspin catalogue of casino games. The unique gameplay elements of the Fairy Gate slot is the Wild Re-spin feature triggered by the second set of reels on the right. The see through orbs that appear on these reels will either contain 2, 3, 4 or 5 fairies. When these bubbles land they can add random Wild symbols to the reels which will then re-spin for a second chance to win. These orbs change their function when the additional free spins bonus game triggers. The trigger mechanism for the Free Spins is the blue Bonus symbols. Three or more of these symbols will award you with the free spins but now the additional reel’s bubbles will only add extra wilds to the reels. 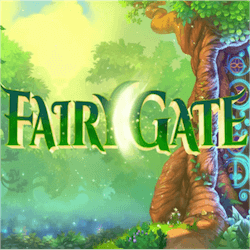 While industry insiders are not blown away by Fairy Gates as it doesn’t really add anything new, fans have been vocal about their approval of this slot. It has a 96.66% RTP which is above average and the gameplay is very fun with the inclusion of the additional feature reels. Quickspin continue to expand their catalogue of rewarding slot games and Fairy Gates is a solid addition.